"There's no place for the [Israeli] enemy on the map." — Ismail Haniyeh, Hamas leader, October 29, 2018. A number of senior Fatah officials, including Munir al-Jaghoob and Mohammed Shtayyeh, have condemned Oman for hosting Netanyahu. They have also condemned the UAE for allowing Israelis to participate in the judo competition. So, Fatah and Hamas cannot agree to pay their workers, they cannot agree on supplying electricity to the Gaza Strip, and they cannot agree on providing medical supplies to hospitals there. They do agree, however, on inflicting more harm and damage on their people. If they go on like this, the day will come when the Palestinians will discover that their friends and brothers have become their biggest enemies. For more than 10 years now, Hamas and Palestinian Authority President Mahmoud Abbas's ruling Fatah faction have been at war with each other. Attempts by their Arab brothers, including Egypt, Saudi Arabia and Qatar, to solve the power struggle between the two rival Palestinian groups have thus far failed and are unlikely to succeed in the foreseeable future. The gap between Hamas and Fatah remains as wide as ever: the two parties despise each other. Fatah wants to return to the Gaza Strip; Hamas says it out loud: no. Fatah wants Hamas to disarm and cede control over the Gaza Strip; Hamas says no. Both parties use the same harsh language when referring to Israel and the policies and decisions of the Israeli government. The daily statements condemning Israel that are issued separately by Hamas and Fatah sound almost identical. Both refer to Israel as the "state of occupation." They also continue to incite Palestinians and the rest of the world against Israel by accusing it of committing "war crimes" against the Palestinians and "violating international law." In the past few days, the rival Palestinian parties have again found themselves in agreement -- this time over what they perceive as efforts to normalize relations between Israel and some Arab countries. 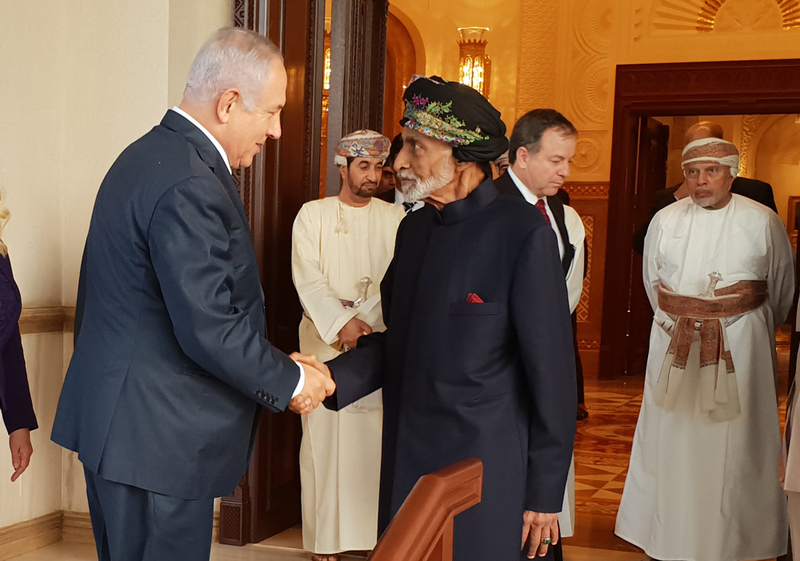 The normalization efforts there are talking about refer to Israeli Prime Minister Benjamin Netanyahu's recent visit to Oman, an Arab country that does not have diplomatic relations with Israel. They are also referring to the participation of Israeli athletes in a judo competition in the United Arab Emirates, another Arab country that does not have diplomatic relations with Israel. Separate statements issued by Hamas and Fatah have strongly condemned Arab countries for "rushing" to normalize relations with Israel before the Israeli-Palestinian conflict is resolved. The statements are strikingly similar in their words and messages. "All the attempts at normalization won't change the reality. There is no place for the [Israeli] enemy on the map. 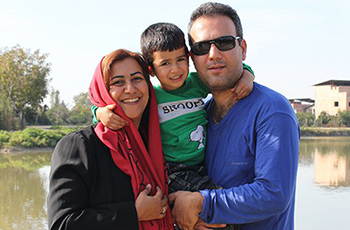 The people are sending an angry message to all those who are normalizing [with Israel]." A statement issued by Haniyeh's Hamas movement went as far as denouncing the normalization efforts as a "stab in the back of the Palestinians." The statement accused the Arabs who are engaged in various forms of dialogue with Israel of "abandoning the Palestinians and their just cause." In other words, Hamas is implying that any Arab leader who establishes relations with Israel will be seen as a traitor to the Palestinians and their cause. Haniyeh is brutally honest as to why he and Hamas oppose any form of normalization with Israel; it is because they believe there's "no room" for Israel on the map. In their eyes, Israel has no right to exist and should be replaced with an Islamic state, where Jews would be welcome to live as a minority. Hamas's rivals in Fatah have taken a similar stance towards the warming of relations between Israel and some Arab countries. A number of senior Fatah officials, including Munir al-Jaghoob and Mohammed Shtayyeh, have condemned Oman for hosting Netanyahu. They have also condemned the UAE for allowing Israelis to participate in the judo competition. "Fatah condemns the public normalization between Israel and some Arab countries," al-Jaghoub commented. He went on to claim that Netanyahu's visit to Oman was part of US President Donald Trump's yet-to-be-announced plan for peace in the Middle East. Palestinians believe that Trump's plan, which no one in the Middle East has seen so far, envisages the establishment of peace treaties between Israel and the Arab countries before the conflict between Israel and the Palestinians is resolved. Hamas and Fatah seem to want to play the victim card to the bitter end. They have long claimed to be victims of Israel. Now they are seeking to convince the world that the Palestinians are victims of some kind of an Israeli-American conspiracy to make peace with Israel. In the world of the Palestinians, peace between Israel and the Arab countries is tantamount to treason, a conspiracy concocted by Israel and the US administration. Instead of welcoming the warming up of relations between Israel and some Arab countries as a positive development that brings hope and optimism to the Middle East, the rulers of Hamas and Fatah are busy condemning and inciting against Arabs who "collaborate" with Israel. The condemnations and incitement sound a great deal like threats directed towards Arab heads of state and governments who want to do business with Israel. These threats will undoubtedly have a negative impact on some of the Arab countries that will see them as blackmail by the Palestinians. When Hamas and Fatah call on the "Arab street" to voice its opposition to the normalization efforts with Israel, they are actually urging the people in the Arab countries to revolt against their leaders and governments. It is hard to see how any Arab leader will remain idle in the face of the Palestinian threats and denunciations. Palestinians are not the " victims " they are the enemy. Treat them as such. Make life miserable for any Palestinian to bring them to their knees and cry " uncle. " Yes it will cause suffering to all but nothing else has or will work work with the ungodly Palestinian groups of Hamas, Fatah, Islamic Jihad, Hezbollah etc. Thank you Khalid for an excellent analysis. Fatah and Hamas, at war with each other, are determined to isolate, impoverish and eliminate themselves as relevant to the quality of Palestinian lives in their inane hatred of Israel and Zionism, which is the national liberation movement of the Jewish people. In isolating themselves, Palestinian leaders make normalization with the Gulf States far more likely and themselves irrelevant. Fatah, Hamas and Hezbollah cannot grasp the fact that the Middle East political map has been transformed by Mr Trump's fortitude in cutting funding to all of them directly or indirectly (by sanctions against Iran). No Arab state, nor Israel, cares about whether a "palestinian" entity is ever created or not. Indeed these states mostly see such an entity as an existential threat. This is why "Palestinian" spokesmen are becoming increasingly hysterical. Soon the funding cuts and sanctions will start to bite and the fraternal militants will be at each others' throats for access to the diminishing pie. In other words, even if the Palestinians destroyed Israel, they would still be at war with each other! Peace is not ever possible with Palestinians. Khaled, you didn't mention the fire kites that have scorched Israeli kites. That goes to show the moral bankruptcy of Hamas and similar groups, which includes Fatah. So, I am proposing this: The administration of the Gaza Strip be taken away from Hamas, and handed to the Arab Coalition which currently has one objective - to deal with Iran. Hamas, Hezbollah, Fatah, Islamic Jihad, and similar ilk are dinosaurs in the 21st. century. It's time for more people to point that out, thereby resulting in the page being turned. After all, journalism is better than activism. This is only one example of the page being turned. Hamas and Fatah could not be clearer. Why then, cannot the countries in the West, understand that they are rapacious, that the only deal they will accept for "peace" is the total destruction, the obliteration of the State of Israel ? Why pretend that "settlements" and policing the borders, are obstacles to peace ? Even Egypt gets it. Complex article. The problem with Palestinians is that their patriarchy is locked into a religious hatred. Hatred takes the place of love of the Christian. The other little bit is an eye for an eye is what they beg for just to present credibility to the world as having victim status. Cowards whichever way you look at it.